The meeting was started by reciting the Holy Quran by Mr. Ather N. Siddiqui and officers offered Fateh a khawani for the sad demises. Following were present in the meeting. Mr. Mohammad Riaz Baig (President) started the meeting by welcoming all officers and BOG’s and appreciating the efforts of Mr. Mohammad Nadeem Zuberi (president for the year 2015-16). Mr. Baig further added that our Presidential Theme is “Sharing Knowledge”. We will never repeat our mistakes that we made last year. This year will be the new era of ASHRAE NPC Recognition. In this regards we need you support and hard work to achieve our goals. The hall appreciated. Communication is the issue for us since chapter made. We should improve communications between us to make things properly. Mr. Riaz Baig requested all officers and BOG’s to update their bio on ASHRAE website, unfortunately not a single member update his Bio that is the saddest part. Please update your Bio Honor and Awards. Mr. Ather N. Siddiqui suggested that you should arrange an online session to update Bio. The house appreciated his suggestion. 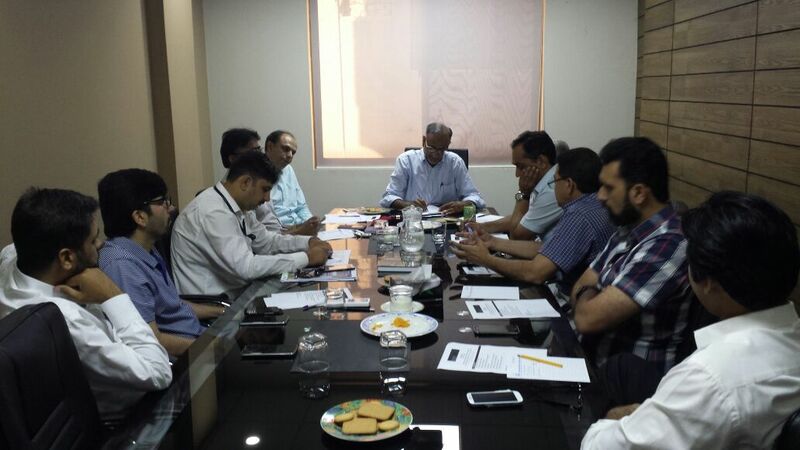 Mr. Ahmad Nawaz suggested that we should arrange meeting/session to be educated before CRC. Most of us don’t know why we are going? What is the motivation of attending CRC? Mr. Riaz Baig added that I will train you if you have any questions feel free to ask. I will arrange one session about CRC’s preparations. The house appreciated. Mr. Mohammad Riaz Baig shared his idea that we have to approach big companies to advertise themselves by using HVACR & ASHRAE NPC Plate form. I already approach DWP and Orient the response is positive. In October I want a big seminar on the topic “Hospital Air Conditioning”. I approached 2 prominent consultants both are willing to present the above said topic. Mr. Ahmad Nawaz suggested that we should arrange Technical seminar every month but hall was not agreed with him. He further informed that Mr. Masood Sadiq will assist me. We should use our database to increase the attendance in seminar. Mr. Riaz Baig showed the letter of sponsorship with Plaque that was sent to DWP. Mr. Nadeem ch. suggested that letter should be to the point because no one is willing to read 15 lines. He further added that the topic should be attractive doesn’t matter we arrange one seminar in a month or within 2 months. Mr. Riaz Baig further informed that D/L Visit will be in Dec 2016. We have to start preparation for this too. This agenda item will be discuss in next meeting because the absence of Mian Arif Hussain (Treasurer). Mr. Mohammad Riaz baig shared that the last year attendance record is not good. We should improve our attendance. Mr. Mohammad Riaz baig asked for the monthly meeting date, the hall was agreed of third week of every month. 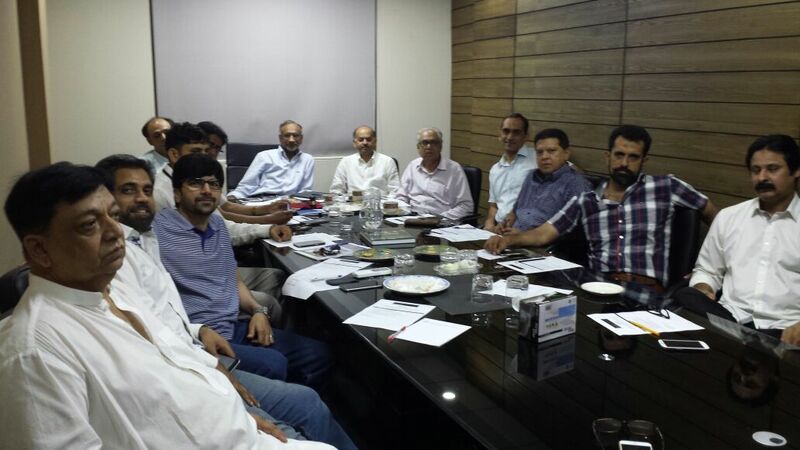 Mr. Mohammad Riaz baig announced that the next meeting will be on August 24, 2016. The meeting time will be 5:30 PM. He further announced that the next meeting will be dinner’s meeting. Mr. Mohammad Riaz Baig requested that this is our responsibility to enhance membership you all should play their role to the enhancement of membership. Mr. Usman Tariq should be present in every meeting and update us about enhancement of membership. Mr. Usman Tariq Chughtai shared delinquency report. He further added that this year Membership will enhance I will work hard to achieve my target. Mr. Mohammad Raees Khan will be YEA Chair. Mr. Khurram Raja will be Historian. Mr. Nadeem Zuberi will be MP Co Chair. Mr. Mohammad Riaz baig informed that I am always available to help you if you have any question feel free to ask. All you have to do is just call me I will arrange half of full day training session for you. Mr. Mohammad Riaz baig shared the change signatories’ bank resolution. He advised to office staff that please changes signatures as soon as possible.